Ok so this weather is really starting to grind my gears. Its getting harder and harder to want to have the desire to dress cute, but hey its my job right? I decided that I wanted to add some color to my outfit, but not too much. Please excuse the crappy pics. 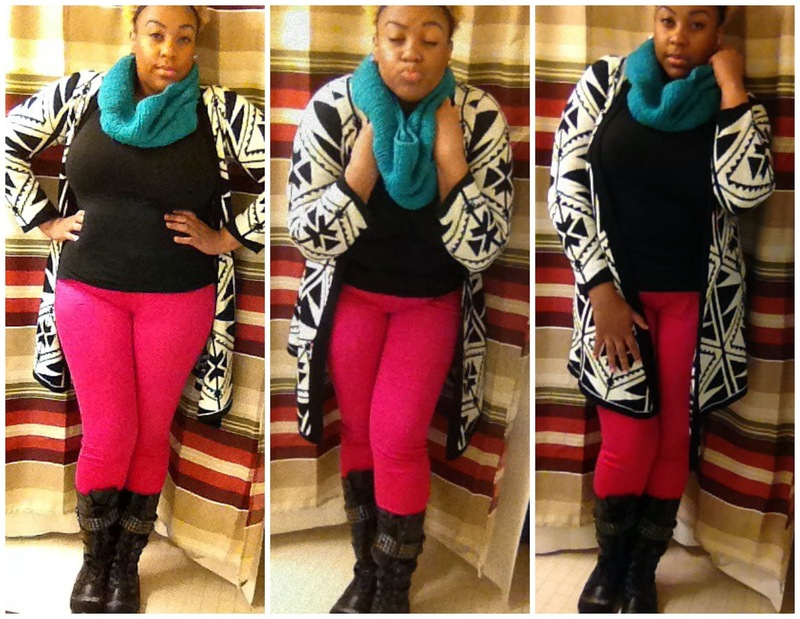 I have to depend on my camera when im flicking it up between classes. These pink pants from Forever21 are always a bit tricky to style, so I always go for black or white to pair with them. 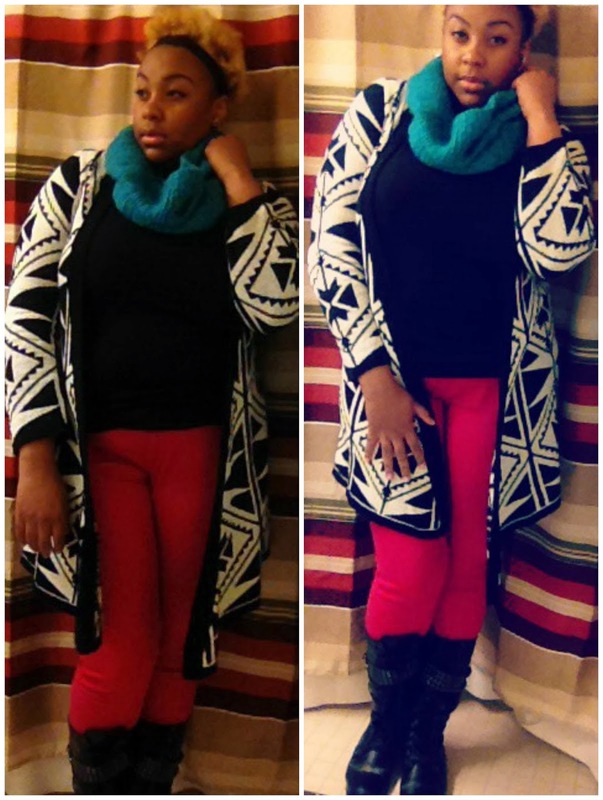 In this case, I decided to pair it with both using this lovely Aztec printed cardigan from Umgee Plus. The blue scarf adds another pop of color just because I feel that you can never have too much color. I cant wait till this weather breaks! I am in desperate need of sandals and crop tops! Ok ladies that is all! I hope you are staying warm in this crazy weather that we have been having. Be sure to check out last week’s post here. It was a great collab I did with my big sis Kenza. Feel free to follow me on all my social network sites. They are listed above. Until next time, love ya lots like tator tots!